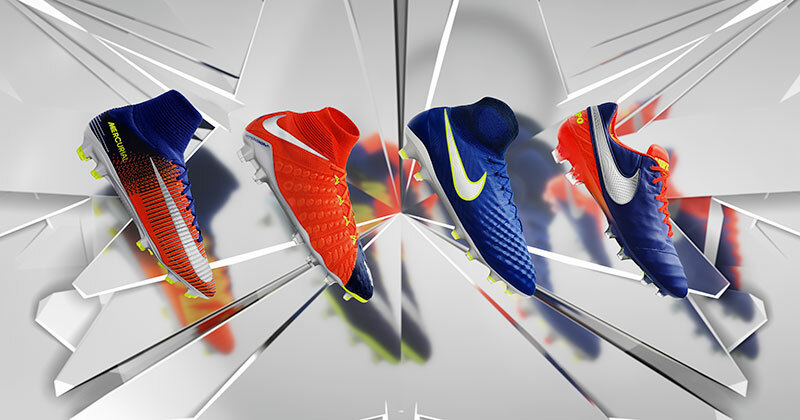 As the season comes to an end and the silverware is dished out, Nike have dropped their final boot of the season to stand centre stage. To celebrate the final game of the season, Nike have launched the Time to Shine pack — just in time for the Champions League final. 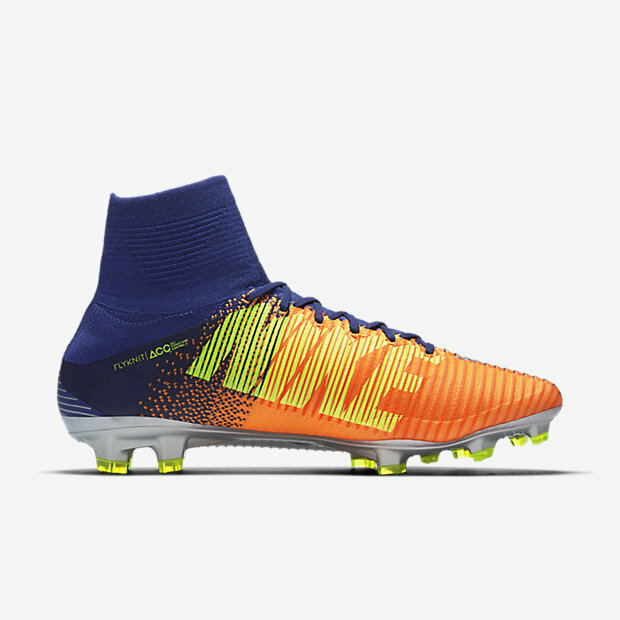 Designed to help players shine under the Millenium Stadium floodlights on the 3rd of June, each of Nike's main boot silos has been given a unique bright and bold colourway, with a reflective Swoosh for good measure. 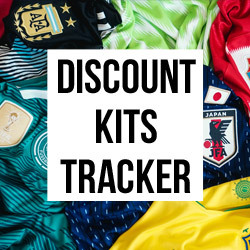 Including star detailed inners and eye catching outers (to say the least), it's fair to say Nike are ending the season with a bang. With such a statement boot collection to round off another action packed year, we've taken a closer look at the Nike Time to Shine pack. 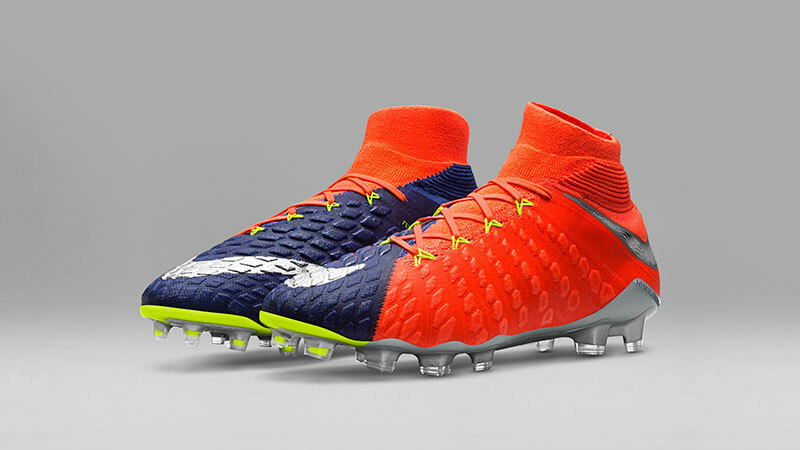 To say the Hypervenom III arrived with a bang would be an understatement. Released midway through the 16/17 season, the arrival of the HV3 made sure it caught your eye. So, after Nike turned down the dial with the Strike Night edition, it was time to up the vibrancy for the Time to Shine pack. 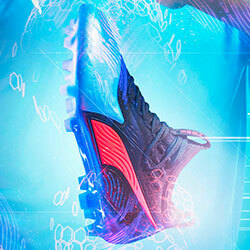 Arguably the boldest boot in the collection, you won't go unnoticed with these on. 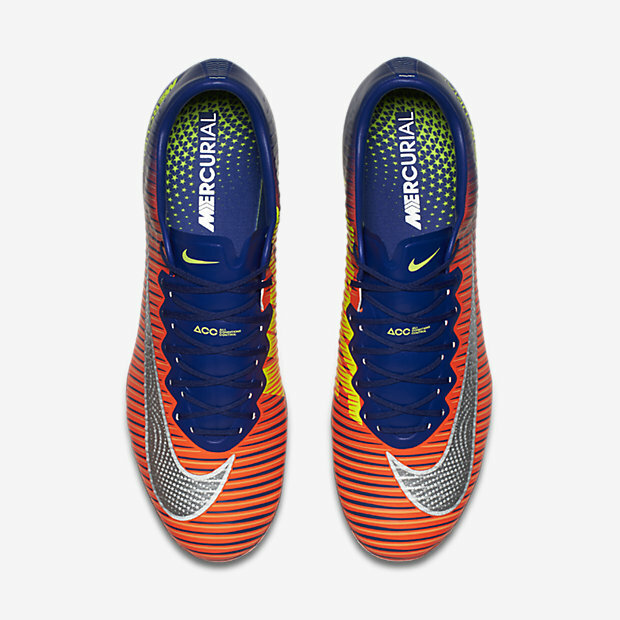 Including a Deep Royal Blue and Total Crimson split colourway on the upper, with Bright Citrus accents and a Chrome soleplate, it's a boot sure to stand out in the CL final. 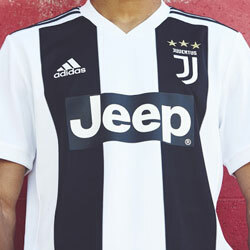 Watch out for Juventus' marksmen Gonzalo Higuaín and Mario Mandžukić stepping out in the boot as they put Real Madrid in their sights. When it comes to the perfect boot for tricky wingers and rapid forwards you can't look past the Nike Mercurial, and in Nike's latest pack they're given a brand new lease of life. Featuring a NIKE brand logo on the medial side, and star detailing on the Swoosh, it's one of the best Mercurial colourways we've seen this season. 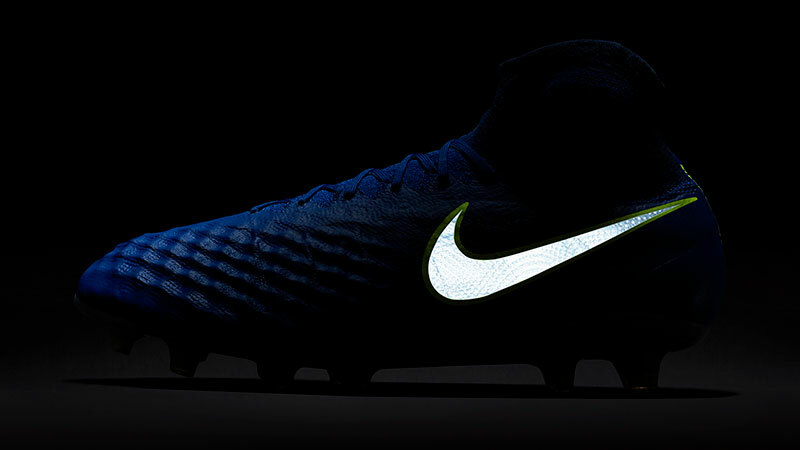 Available in the Superfly V and Vapor XI model, don't be surprised to see these on the feet of Dani Alves, Cristiano Ronaldo, Isco and Luka Modric as they look to get their hands on the crown in Cardiff. 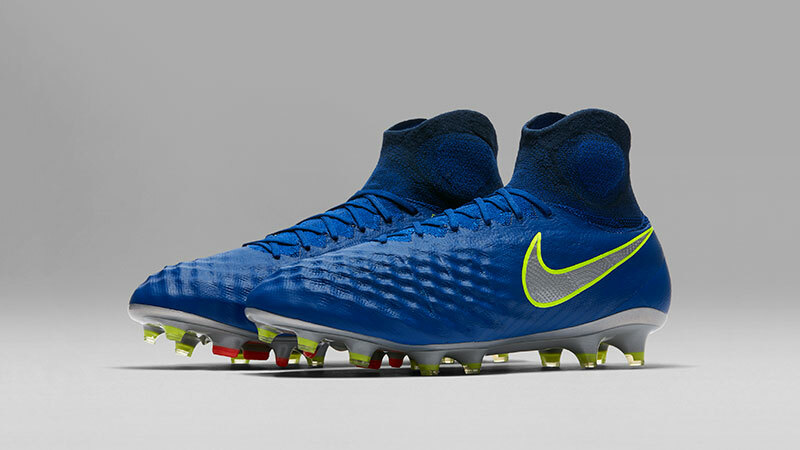 Released just before the start of the season, the Magista Obra II has helped some of the game's best playmakers pull the strings on the pitch. 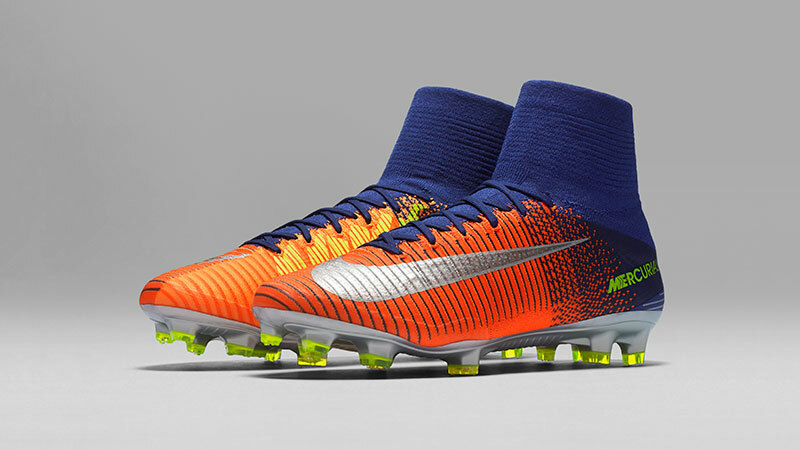 With the heatmap design a thing of the past, Nike have given us a navy blue number with popping Bright Citrus accents — the most mellow boot in the pack. Keep your eyes peeled to see if Leonardo Bonucci pulls on the deadly Magista colourway, as he looks to shut out Ronaldo and Co. 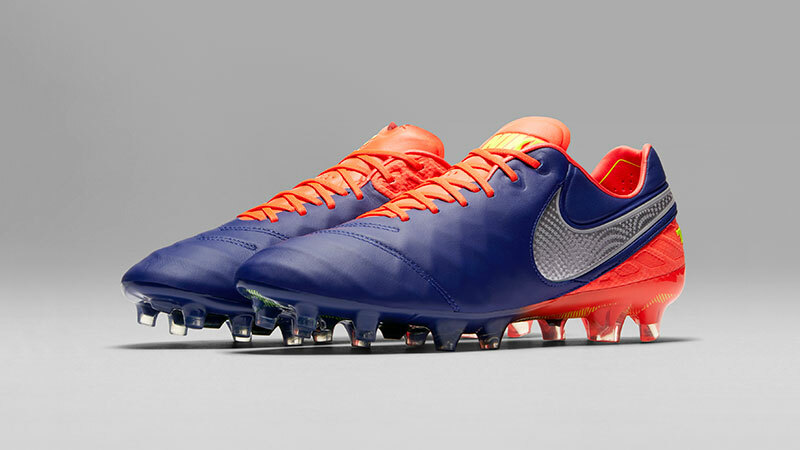 Reliable, strong and to the point, the Nike Tiempo leaves all of the fuss and headlines to the other boots in the pack. Reminiscent of the Tiempo Floodlights collection, the premium k-leather upper looks superb in Deep Royal Blue. 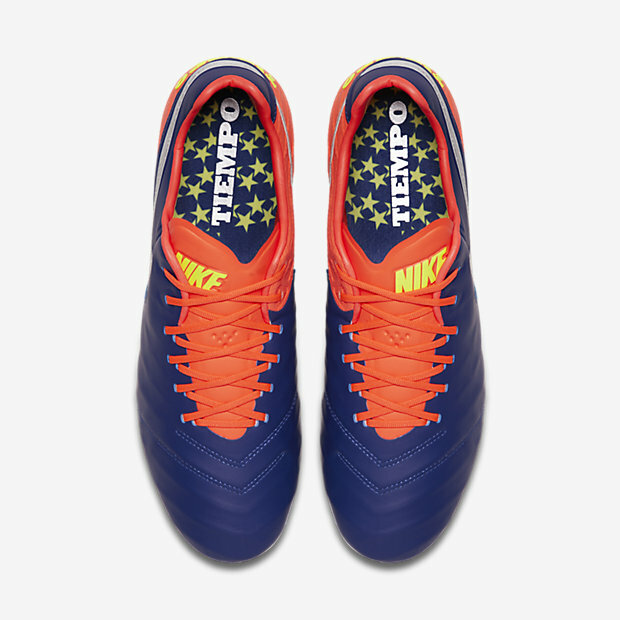 Worn by robust defenders including Andrea Barzagli, Sergio Ramos and Raphaël Varane, this could be the final Legend VI Tiempo — not a bad stage for such a classic boot to bow out. What is your favourite boot from the collection? 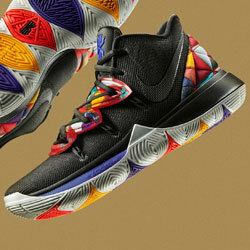 Is it Nike's best boot pack of the season? Let us know your thoughts! Make sure you follow us on Facebook, Twitter, Instagram and YouTube. 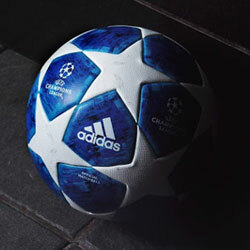 Stay tuned to Hand of Blog for the latest news, concepts, blogs, quizzes and reviews.